Supreme Court Justice Anthony Kennedy's announcement on Wednesday that he will be retiring could mean that Roe v. Wade, the landmark 1973 decision that legalized abortion across the United States, will be overturned in the not-too-distant future. Despite his loose affiliation with the conservative wing of the Supreme Court, Kennedy was widely seen as a barrier to efforts to repeal Roe v. Wade. In 1992, he sided with liberal justices in Planned Parenthood v. Casey, a decision that reasserted the court's view that abortion access is protected by the Constitution, although he has sometimes ruled in favor of abortion restrictions in other cases. 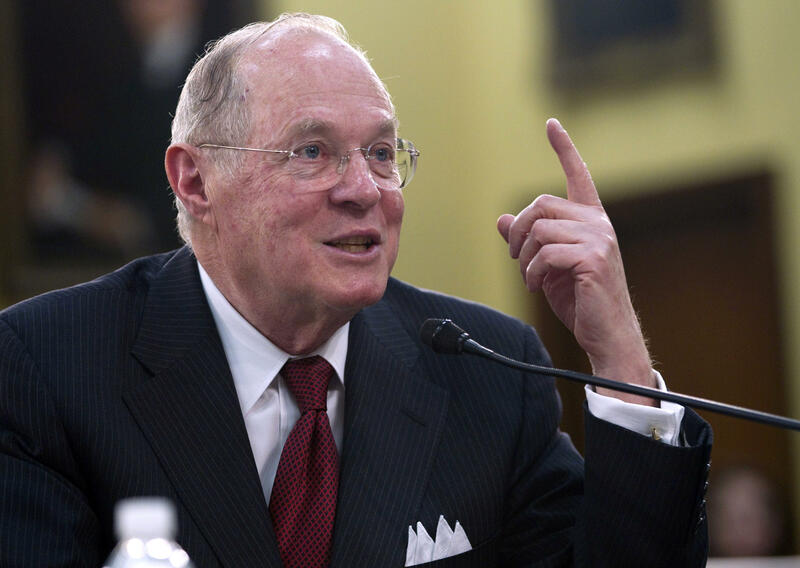 Supreme Court Justice Kennedy retires: What's next? President Trump, who previously described himself as pro-choice but in recent years has said he opposes abortion, will nominate Kennedy's replacement. And with Republicans holding a narrow majority in the U.S. Senate, which will vote to confirm the pick, it's possible that Roe v. Wade could soon be history. Pro-abortion-rights activists, scholars, and politicians are already sounding the alarm that Kennedy's replacement could overturn Roe v. Wade. "The President just said the next Supreme Court nominee WILL come from his list of 25 judges that passed his overturning Roe v. Wade litmus test," New York Democratic Sen. Kirsten Gillibrand, a supporter of abortion rights, tweeted Wednesday. "We need to say NO hearings before the election and work our hearts out and take back the Senate." Any challenge to Roe v. Wade would need to work its way through the lower courts before the Supreme Court could decide to revisit the case. As things stand now, the Supreme Court has four justices who are believed to oppose the Roe v. Wade decision. If they add one more to their ranks, then the decision would be in serious jeopardy, if and when a challenge lands on the docket. However, Republican presidents have selected justices in favor of abortion rights before, and there's a chance it could happen again -- perhaps unintentionally. Kennedy himself was appointed to the Court by President Ronald Reagan, who also selected the pro-abortion former Justice Sandra Day O'Conner. And President George H.W. Bush appointed former Justice David Souter, a reliably liberal jurist, under the mistaken belief that he was a conservative. Trump says search for Kennedy's replacement to begin "immediately"
So while Mr. Trump's potential nominees for the court are all known as conservatives, it's plausible, although unlikely, that he could appoint someone who is more liberal than he or she appears at first glance. Such a justice could, in theory, join with the liberal wing of the court in upholding Roe v. Wade in the face of a future challenge. But even if Mr. Trump nominates a reliably anti-abortion justice, there's no guarantee that the Senate accepts the pick. If Democrats stick together and refuse to confirm any Supreme Court nominee thought to be anti-abortion, then Republicans -- who control the chamber with 51 members -- could only afford to lose one GOP senator, leading to Vice President Mike Pence delivering a tie-breaking vote. GOP Sen. Collins: Roe v. Wade is "settled law"
Winning the votes of every Republican might be more difficult than it appears. While Democrats overwhelmingly support abortion rights and the GOP roundly opposes it, Republican Sens. Lisa Murkowski and Susan Collins are both generally pro-abortion rights. That means that Murkowski and Collins may have a major say in who the White House selects to replace Kennedy -- and whether that nominee makes it through the Senate.